Welcome to the My Lead System Pro review! Many startup Internet entrepreneurs have been referred to this program as a means of generating sales leads and benefiting from an affiliate program. The membership costs required for access to the program have made many question whether or not it offers true benefits and value. After trying it out myself, I’d like to share my firsthand findings. If you’re searching for a reputable affiliate program, lead generation system, or are in need of high quality business training, MLSP may be worth your time. The program is undoubtedly a plethora of educational and training material. The program claims to offer a marketing education equivalent to the Harvard School of Business for entrepreneurs. It’s designed to assist you in generating more leads, signing-up more reps, and making more money in your home-based business ventures. As of the date of this review, MLSP claims its’ members have generated over 2,317,428 leads since 2008. Attraction marketing is the focal point of the program. In the marketing world, attraction marketing is known as the “act of becoming irresistibly attractive in the eyes of…prospective [customers] so that they seek you out” versus you chasing prospects down. Many of the top online money earners use attraction marketing in some fashion. The MLSP is designed to teach you how to create, incorporate, and display value. Your target audience is most interested in the benefits and value setting you apart from your competition. By using attraction marketing, you can attract them through a vivid display and pave the way to building a trusting, loyal business relationship. Pro #1: My Lead System Pro review unearthed tremendous, high quality training material. Most of the training is in video format. You can easily spend weeks watching videos on a variety of topics, and the time spent will not be a waste! You’ll learn a great deal. Pro #2: They offer a ready made system that includes multiple sales funnels for your use. The sales funnels are well made and can be modified by upgraded members. Con #1: The training material is not well organized for beginners. When I first joined, I spent many hours watching videos versus taking business action. The website lacked a good starting point for new members. Although I am no longer a member, I have been informed they’ve improved organization. Update February 2015, Pro #3: MLSP has organized it’s training so that it leads you step by step. It’s significantly improved and makes it much easier to digest. 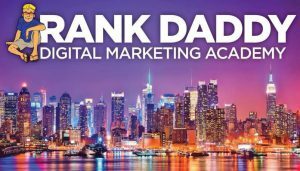 This is great for new people learning about internet marketing. Con #2: The ready made system I mentioned in Pro #2 is a pro, but it comes with a downside. All of the members access the ready made system so it’s not unique to you and it’s heavily used. However, you’ll have to purchase an upgraded membership to customize your sales funnels to make it stand out from the 100’s of others using the same sales funnel. The MLSP store has many items that are promoted through out the program. Con #3: MLSP offers multiple membership tiers and training products for sale. I purchased a couple of these additional training products. I found that although the content was high quality, the cost was also rather high. It felt like the program was always trying to sell me something, and I felt pressured to upgrade my membership or purchase the latest and greatest training product. MLSP offers a couple of different trial memberships. They have a “30 day risk free trial” available for new customers. You can sign-up from their website. Even though they offer a satisfaction and 30 day money back guarantee, you are required to select one of the membership plans and enter your billing information prior to receiving your free trial. Tread lightly as the trial membership does enroll you in an automatic re-billing. I was a gold member for 4 months. During that time, I was able to identify the pros and cons we discussed. The question I hear the most from entrepreneurs and small business owners is, is My Lead System Pro worth the investment? If you’re interested in network marketing and can safely front the monthly membership cost, My Lead System Pro could be for you. The training provided is unarguably high quality, but the membership cost is also high—especially if you’re starting up your business or lacking a profit margin to offset the cost. If network marketing doesn’t interest you, or you question whether it’s right for your business endeavors, MLSP probably isn’t for you. You can find lower cost programs that offer similar high quality training. As an alternative check out my review of this high quality training and a free membership that does not automatically bill you later. Here is a comparison of the other high quality training vs. My Lead System Pro. 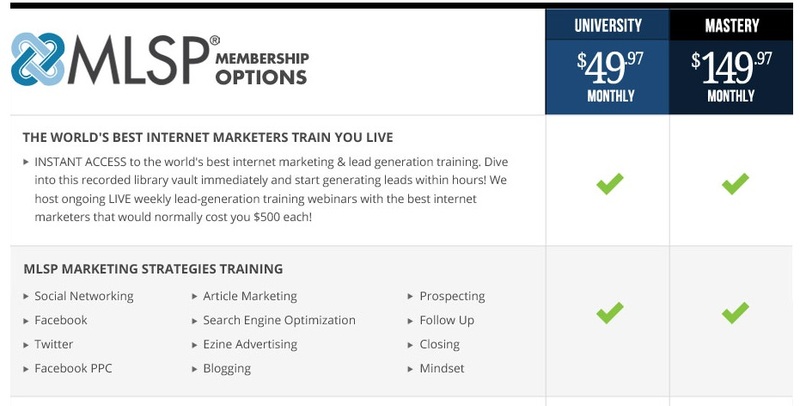 Both Wealthy Affiliate and My Lead System Pro are quality training programs. 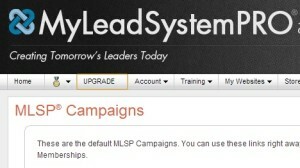 If you have experience with My Lead System Pro please leave a comment about your experience with MLSP. If you have any questions leave them in the comments below. MLSP is one of the few MLM’s I actually don’t mind (completely). Although I still recommend against it because I find all MLM’s to a certain extent are pyramid schemes. In MLSP’s case, it’s just borderline there. The pros are that it does provide some quality training for what I consider a pretty fair price, but there’s that referral aspect of it I find questionable. MLSP is not a MLM. It has an affiliate program so you can earn from your referrals. But you will not earn from your referral’s referrals like you do in a MLM. MLSP focus is training people for MLM programs. Great review on MLSP Steve and such a detailed article to help me decide whether it’s for me or not. 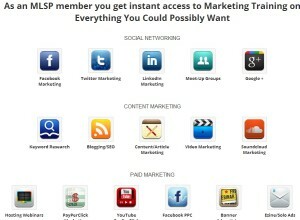 I am a network marketer myself and have heard some great things about MLSP in the past. I agree. Wealthy Affiliate provides training that everyone can use. I love the fact that the community does not allow spamming and there are no additional upsells. WA is the preferred program for me.